Imagine the world’s most loving dog. Now, multiply that affection by 100 and you’ve got the Mini Labradoodle. Miniature Labradoodles are incredibly sweet, attentive, and friendly — it’s no wonder they’re considered one of today’s most popular dogs. Do you have enough space in your heart for a Mini Labradoodle? I’m passionate about this breed because while they make fantastic companions, there’s a great deal of controversy surrounding their designer dog aesthetic. 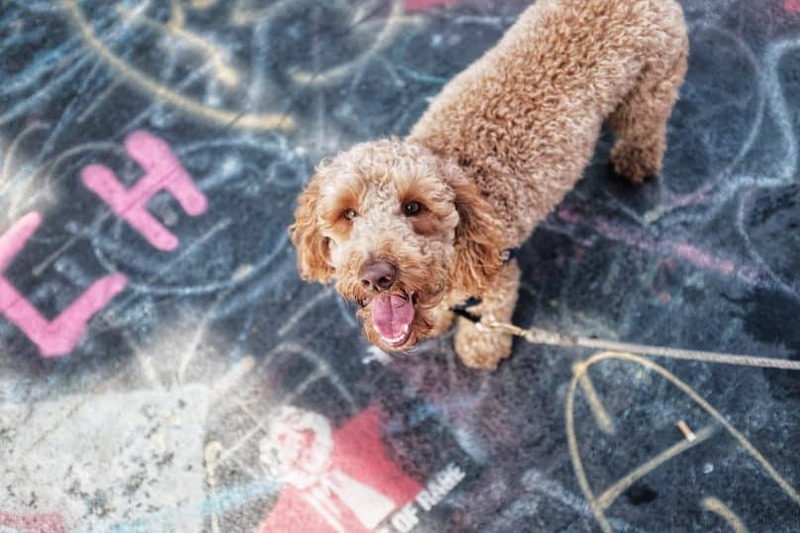 In this article, you’ll learn the ins and outs of the Mini Labradoodle and what it takes to bring one into your home and heart. What Is A Mini Labradoodle? How Long Do Miniature Labradoodles Live? Is The Mini Labradoodle Hypoallergenic? Are Designer Dogs Better Than Purebreds? How Much Does A Mini Labradoodle Cost? Are You Ready To Take A Mini Labradoodle Home? This isn’t a trick question – the Miniature Labradoodle is essentially a smaller version of the Labradoodle. The difference is that the Labradoodle is mixed with a standard-sized Poodle, not a mini one. A Miniature Labradoodle is a cross between a Miniature Poodle and a Labrador Retriever. With such diverse parents, there is no “one” look for the Mini Labradoodle. Some puppies will have more Lab in them, others will have more Poodle. It’s safer to look for multi-generation Mini Labradoodles if you’re looking for that signature fluffy and cute appearance. A distinctive feature of multi-generational puppies is their ringlet coat, which happens to be super soft and almost rug-like. The Mini Labradoodle comes with many coats, either white, tan, black, apricot, caramel, chocolate, red, silver, cream, and grey. It almost sounded like we were naming off desserts for a while. When it comes to Miniature Labradoodles, the options are endless. Certain coat combines two or three colors, which are either called “parti,” meaning patched, or “phantom,” meaning shaded two-toned hues. When compared to its parent breed, the Mini Labradoodle has a heavier body than the Poodle with more muscular forelimbs. It has a more narrow snout and muzzle than the Labrador. The average lifespan of a Mini Labradoodle is 12 – 15 years. More research needs to be done on the distinct illnesses or diseases that could affect this dog. But for now, this breed’s medical concerns are tied to its parents. The Labrador, for example, is prone of hip and elbow dysplasia, obesity, eye disorders, and cruciate ligament injuries. It’s also common for Labradors to have ear infections due to their floppy-ness. Poodles, on the other hand, have their set of issues, including patellar luxation (a knee injury of sorts), cataracts, sebaceous adenitis, and other skin problems. When Christopher Columbus set out to sea, he claimed to discover the New World. 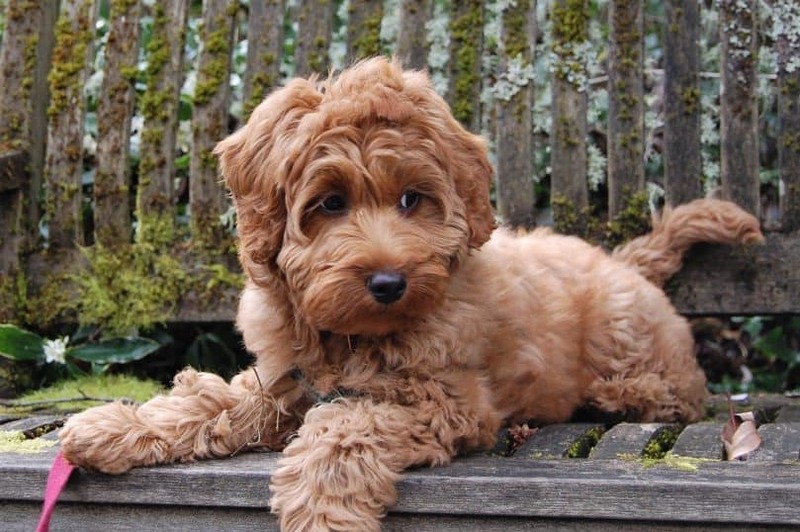 Mini Labradoodles are the America (or, actually, it was the Caribbean islands) of dog breeds. They’re considered a new dog breed with not much history. It’s believed they entered the limelight in 1988 when an Australian breeder successfully combined the genes of a Labrador and a Mini Poodle. That’s why you’ll find a Mini Labradoodle/Australian Shepherd mix from time to time. The breeder’s goal was to design a dog that would shed less, have odorless fur, and help out owners in their old age. Soon after, the Australian breeder introduced his creation to the American market, and instantly, practically overnight, the Mini Labradoodle was the center of everyone’s attention. This breed can be found in a lot of pop culture memorabilia. 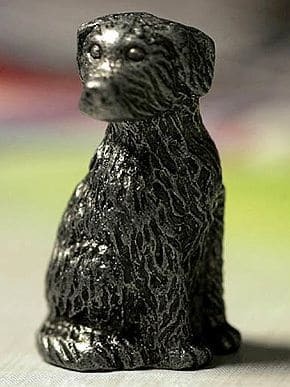 The Monopoly game, for example, replaced its original dog mascot token, the Scottish Terrier, with a Miniature Labradoodle on their “Here And Now” version. 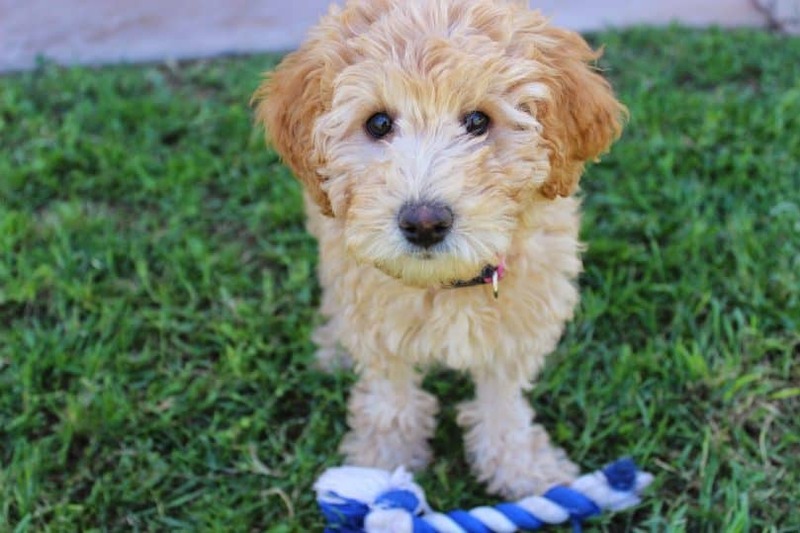 Even some of the biggest celebrities in the world have Mini Labradoodles at home. 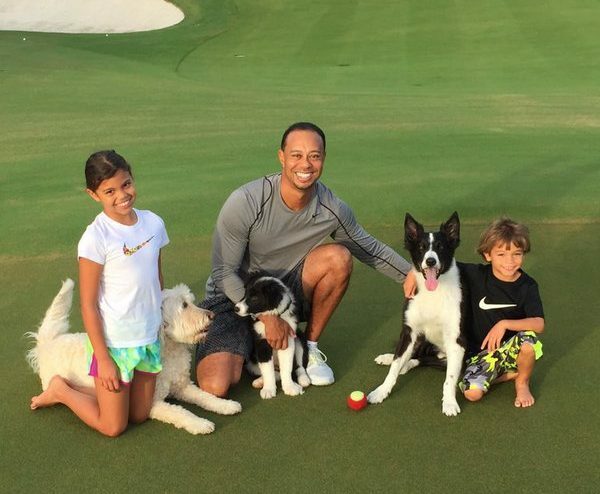 Just ask Jennifer Aniston, Tiger Woods, and Norwegian royalty. The Prince and Princess of Norway are big fans of this breed. The size of a Miniature Labradoodle deserves its own section because, sometimes, the word “mini” goes missing. The smallest version of a Mini Labradoodle ranks between 14 – 16 inches (35 – 40cm) at the shoulders. 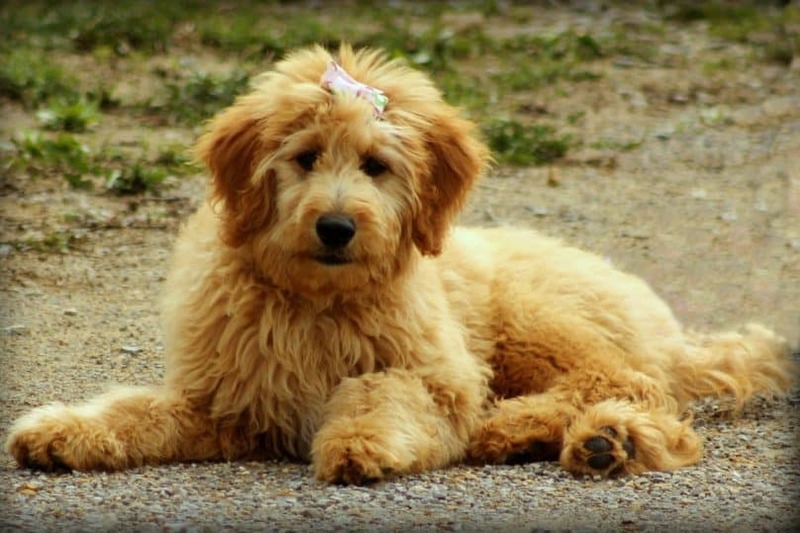 But what if a Miniature Labradoodle takes after its Labrador mom or dad? In that case, you’ve got a medium-sized dog at 17 – 20 inches (43 – 50cm) at the shoulders. But wait — there’s more! Mini Labradoodles can get as big as 21 – 24 inches (53 – 60cm) if there are a lot of Labrador genes mixed in. One size does not fit all. In terms of weight, a smaller Mini Labradoodle will be between 16 – 25 pounds (7 – 11kg). A lager Mini Labradoodle will weigh between 50 – 65 pounds (22 – 29kg). It’s tricky to determine just how big your Miniature Labradoodle will get when it’s a puppy, so be prepared. This breed is full of surprises. Want to know a secret? There is no such thing as a non-shedding dog. All dogs shed to some extent. The closest you’ll get is a low-shedding dog, like the Mini Labradoodle. This breed is considered allergy-friendly and hypoallergenic. That being said, we can never promise that you or someone you know will never get a reaction. If that happens, it may not be this dog’s fur that’s causing the problem. It could be its saliva or dander. One way to know if you’re going to have a reaction to a pup is to meet its older siblings and previous litters. You just never know what you’re going to get with a Mini Labradoodle. Because their parents are so different in size, temperament, and appearance characteristics, your life as an owner becomes a box of chocolates. It can be fun to watch your puppy’s personality develop over the years without being able to predict it. The general temperament of a Miniature Labradoodle is silly, playful, and fun. These dogs are a safe choice because they tend to be friendly to everyone. Strange people, strange dogs, cats, babies, toddlers — you name it, they love it. Of course, there are some exceptions to the rule. And it all depends on genetics. If your Mini Labradoodle is more Labrador, it may be wary of strangers. Poodles are more aloof. Labradors are prone to boredom but more playful and sweet. They like to run around and swim. Poodles are smarter and more relaxed around the house. Less active and need less exercise. As you can see, there’s a lot to work with. The media labels the Mini Labradoodle a “designer dog,” meaning it was bred a certain way using DNA and genetics to be more customizable than the original breeds. In China, for example, the first gene-edited dogs from 2015 were reported to have muscle enhancements and better running ability, making it optimal for hunting or police applications. They were two Beagles named Hercules and Tiangou. 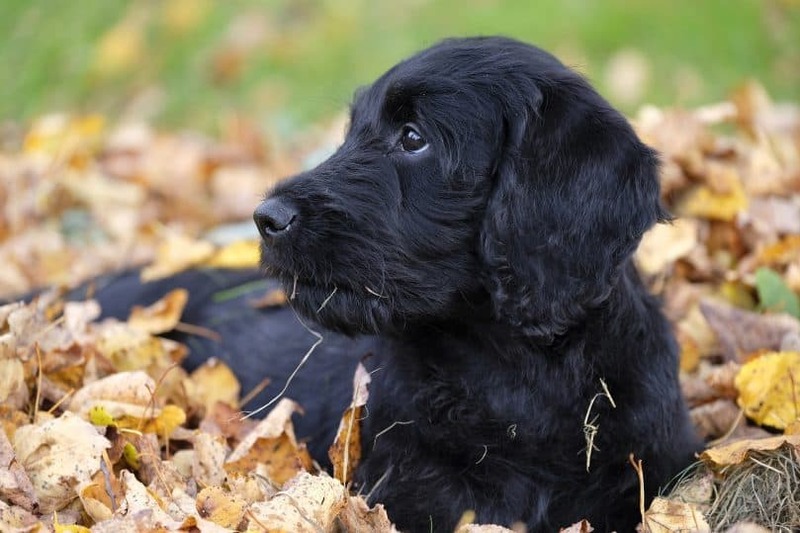 The two main strengths of the Miniature Labradoodle are that it was bred to create a hypoallergenic dog with human-helping qualities, like serving as a guide dog to the blind – but we’ll get to that later. Here are other Poodle and Labrador mixes that qualify as designer dogs. The Poodle mixes, in particular, are great for people with allergies as they’re low-shedding. Sorry to burst your bubble, but there’s a dark side to shopping for a designer dog. Many believe life and evolution should be left alone – not created in a mysterious lab somewhere. Look what happened to Jurassic Park. Articles have come out claiming many dogs suffer “intolerable pain” as a result of genetic testing errors. Unregulated breeding may come with a handful of genetic defects. The dog may suffer from irregular breathing, arthritis, and weak bones. This begs the question if designer dogs are cute…or cruel? Below is a video that explores the controversy surrounding designer dogs. Another topic to mention is dog trends. There was a time when everyone wanted a Corgi or a Shiba Inu. Dog lovers worry that buyers are only looking for dogs that are “in” without making an educated decision on the type of breed. Dogs are not a trend. Dogs are not a fad. Dogs are a lifestyle. Dogs are a commitment. What happens when a new “hot” breed comes along? Are you going to trade your dog in for a “better” one? As you can see, the debate about designer dogs vs. purebred dogs doesn’t have a one-word answer. It’s not a black and white subject. Ultimately, you have to be the one to decide which is more ideal for your lifestyle. The Miniature Labradoodle is a combination of the best of both worlds. Like the Labrador, they need a lot of exercises, either on land or in water. It’s not enough to take this breed on a walk or jog — they need to run at full speed to get all their energy out. Dog parks or a fenced backyard are great ways for your Mini Labradoodle to let loose in a safe, enclosed environment. It’s important to keep them in a fenced area because they love to track. These dogs can jump a 6-ft tall fence, so make sure it’s high enough. If they smell something they like, they could wander off for miles and miles without realizing. One owner claims its dog traveled from countries away to find its home. If you’re not the type of person who loves to workout, consider a different breed. These dogs need at least 30 – 60 minutes of activity every single day. Mini Labradoodles are easy to train as they’re considered intelligent dogs, mostly taking after the Poodle. It’s their level of trainability that makes this breed an excellent guide and therapy dog. They’re great dogs for people with autism, depression, or physical disabilities — such as blindness. It’s crucial to start training early, as this breed can develop mischievous behavior. Pulling on the leash is also common as Mini Labradoodles love to meet everyone as quickly as possible. The one thing a Miniature Labradoodle is not good at is providing protection or acting as a guard dog. Because of their overly friendly nature, they’d likely lick a robber before barking or biting. If you’re serious about bringing a Miniature Labradoodle home, then let’s talk numbers. The price of a Mini Labradoodle puppy varies between the hundreds to couple thousands. When it comes to cost, it’s all about location. Some newspaper articles list Miniature Labradoodle puppies for as low as $500. But in ritzy places, like the Westwood neighborhood in Los Angeles, they cost between $1500 and $2500. It may seem like a good idea to pay as little as possible at first and go for the cheapest option, but if the price is too low, there may be something wrong. Because Mini Labradoodles are so popular, there’s much incentive for puppy farms and unethical breeding, as we mentioned before. On the bright side, their popularity means it should be easy to find a respectable, reputable breeder or adoption site online. Check out the Mini Labradoodle Puppy, or Adopt-A-Pet, or Puppies Up North. There’s a lot of love about the Miniature Labradoodle, and the best part is that your pup will love you just as much. They’re adorable balls of energy that lick the faces of almost everyone you meet. If you’re in the market for a family-oriented designer dog with lots of activity, a massive heart, and a low-shedding coat, the Mini Labradoodle is the way to go. But if you’re gone from the house often due to a busy schedule, or simply don’t enjoy working out, choose a different breed that prefers a slower lifestyle. Do you think this breed is right for you? What are your thoughts on the designer dog argument? Leave us a comment below!